Natasha Newton on Etsy Blog discusses her unexpected career into the field of illustration. She tells of how Random House came knocking. Newton also gives illustrators pointers on how to succeed in the illustration market. Her work is haunting in its simplicity, and yet, complex in it's textural patterns. It is beautiful. Modern. 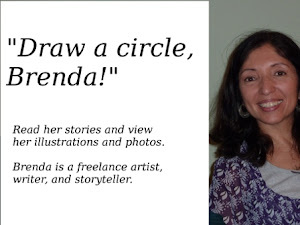 Check out her post: "My Big Break: Intro to the World of Illustration and Book Cover Design" on Etsy. Nick Morley is also an artist/illustrator. His work particularly involves linocuts; it is bold and edgy. His use of pattern and sketching complements his art. I'm fond of his Hungry Fish. Morley's work can be seen in Magazines. He has also worked for Penguin publishing. He blogs about linocuts and features other artists, too. If you are interested in learning how to linocut and what's happening in his world, checkout his blog: Linocut Boy .